With Halloween upon us, we thought it appropriate to return to Mountain View Cemetery to picnic with California’s notable dead. We started our morning with a guided tour of the Chapel of Chimes, a labyrinthine columbarium first built in 1909, with Gothic and Moorish inspired additions designed by Julia Morgan in 1928. 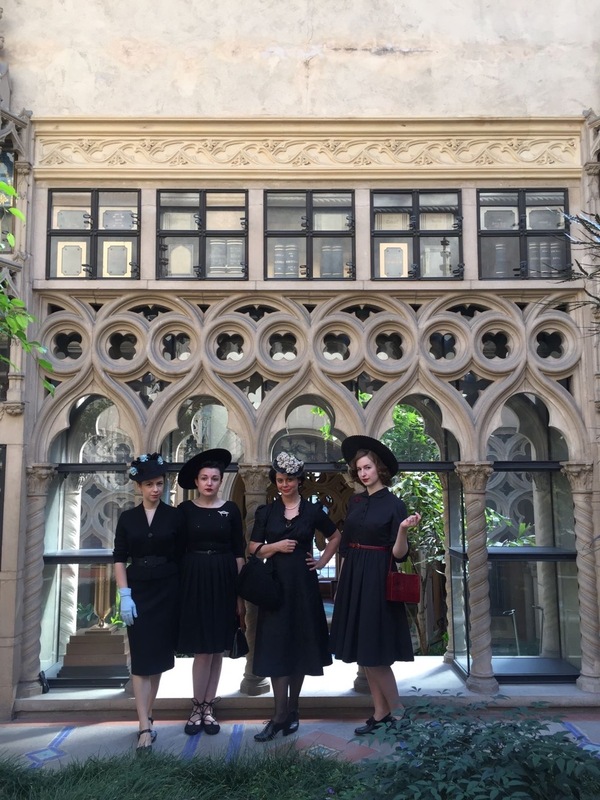 We could have spent all day wandering it’s endless courtyards, but there was cheese to be eaten and champagne to be drunk. 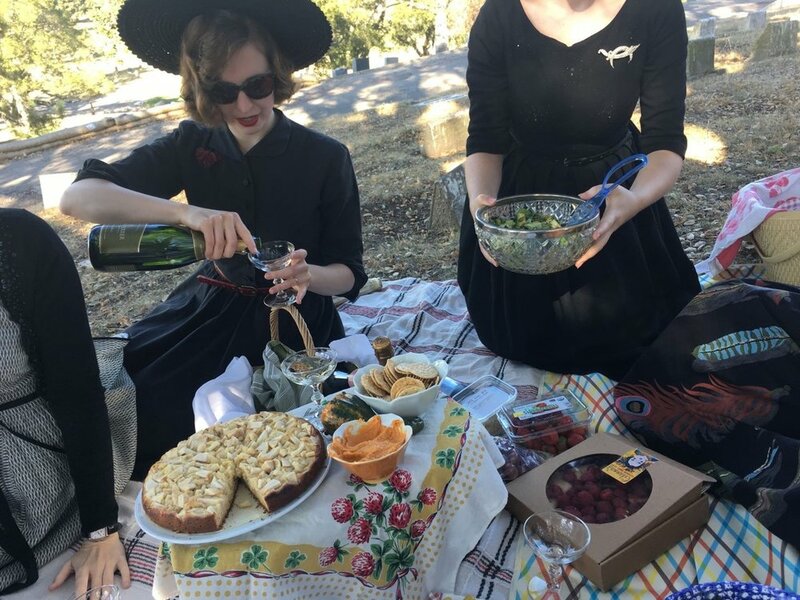 We settled into a leaf-covered hillside under a large oak tree where we shared “spooky" fall-inspired snacks and drinks, then explored the grounds a bit more. It was a lovely fall afternoon with friends, filled with laughter and decorative gourds. 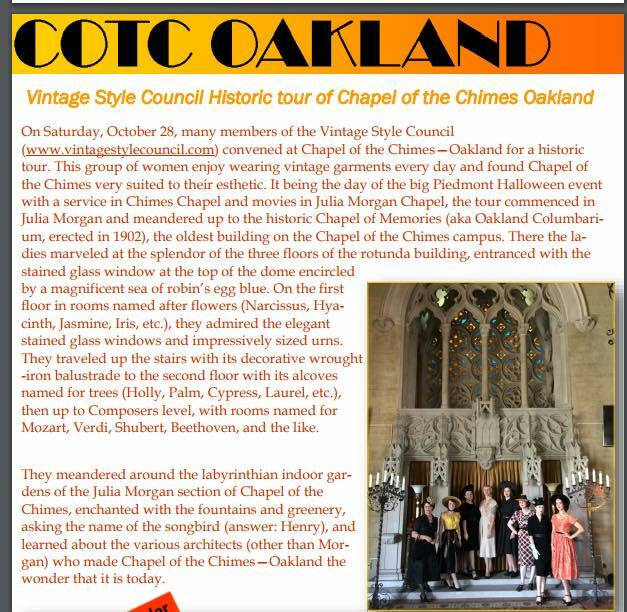 And scroll to the bottom to see our cute writeup in the Chapel of the Chimes newsletter! Click to the right to scroll through photos.